This is our second version of the classic Zappa taking a crappa poster. 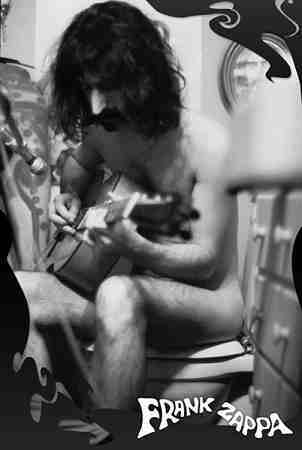 This one is a photograph of Frank Zappa on the toilet. Poster measures approximately 24 x 36 inches.